How to start a saltwater aquarium? Beginners in aquascaping are faced at many decisions – how to design an aquarium, how to choose the right plants and fish, what equipment is suitable, intensity and duration of lighting, etc. 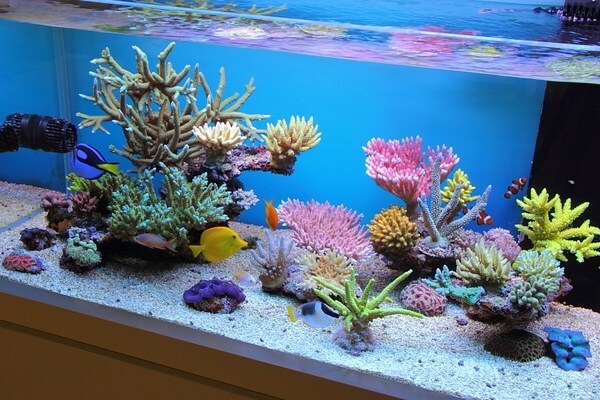 Those who plan to start a reef aquarium need to realize that this is not just a tank filled with salt water where you place exotic fish in bright colors. Like freshwater aquascapes, this is a system and if you want to enjoy your beautiful aquarium for a long time and to provide the best conditions for your fish, you need to carefully think of every detail from the very beginning and plan the design. 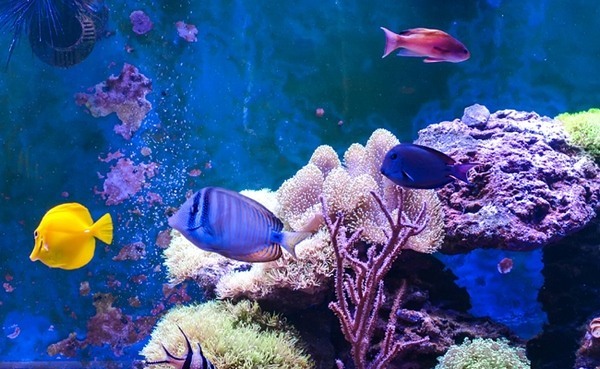 Everything in a marine aquarium – whether it is “live” stones, sand, equipment or lighting, has a vital role in creating a cozy and secure home for its inhabitants. Every mistake may cause your fish to die – whether it is the wrong choice of fish species, wrong environment, etc. 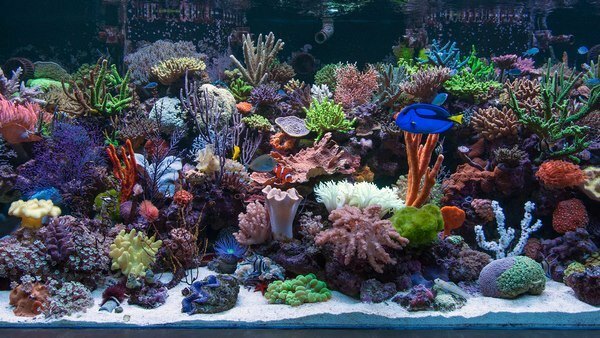 Beginners need to know and understand that a reef aquarium is amazingly beautiful, but requires constant maintenance and care. When you are responsible and accurate your efforts will be rewarded with a magnificent sea world with beautiful exotic plants and fish. Marine aquarium with fish and invertebrates. 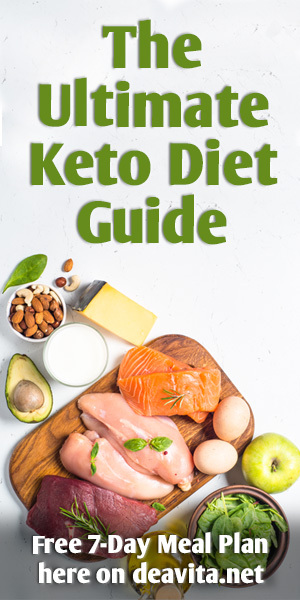 The choice will depend not only on the desire to have one fish species or another but also on the possibilities for placing filtration equipment and other life support systems. 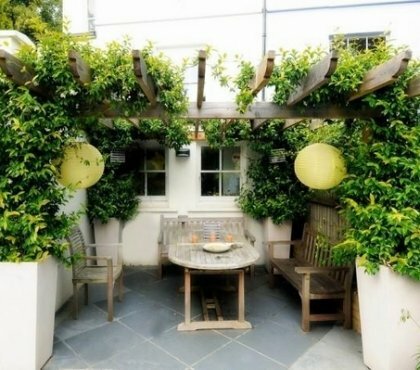 These systems need to be cleverly hidden as they do not add to the decorative appearance of the aquarium, so you will need a good plan how to hide them among the stones. 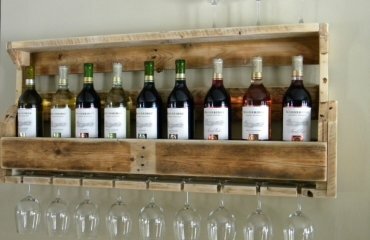 It is equally important to choose the right inhabitants. In freshwater and marine aquariums it is impossible and impermissible to combine rival species, predators and their victims, plants and herbivorous fish. The choice of hardscape for your reef aquascape design is also essential. 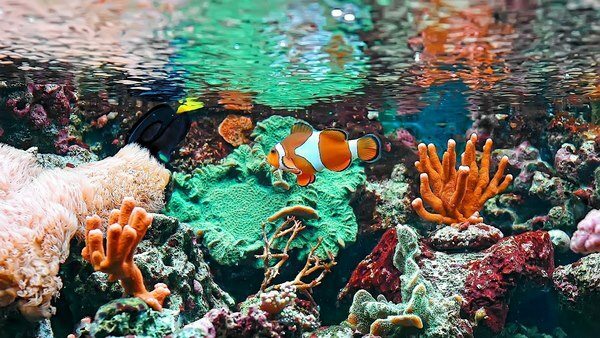 We shall give you some useful tips and ideas for the basic elements of saltwater aquariums which will help you in your first project. Freshwater vs saltwater aquarium – what are the differences? 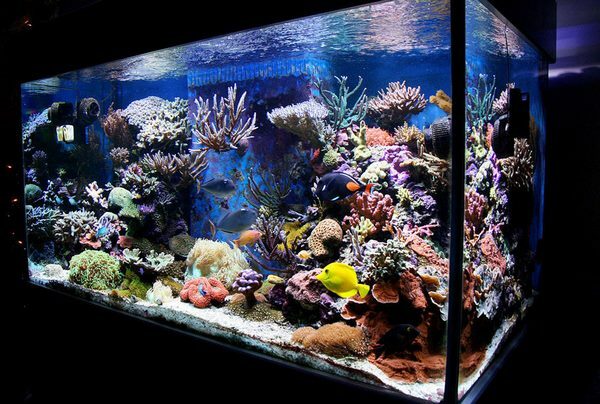 Everyone knows that aquariums come in two main variations – freshwater and saltwater aquariums. Freshwater aquariums are widely popular and their practicality and simplicity are one of their main characteristics while reef aquariums are fascinating, full of colorful, exotic and mysterious fish and it is hard to decide which option is a better initial project. If you wonder if there is something common between the two types – yes, there is! Both freshwater and saltwater aquariums are artificial reservoirs which may have similar shapes and size and look equally fascinating. This is where similarity ends. 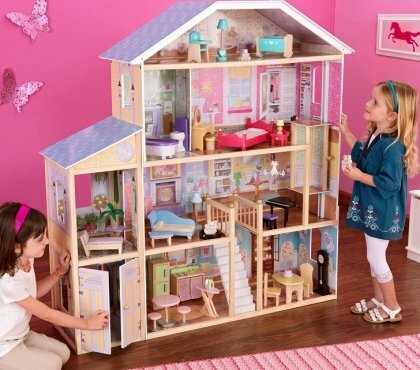 A saltwater aquarium is more complicated and expensive. 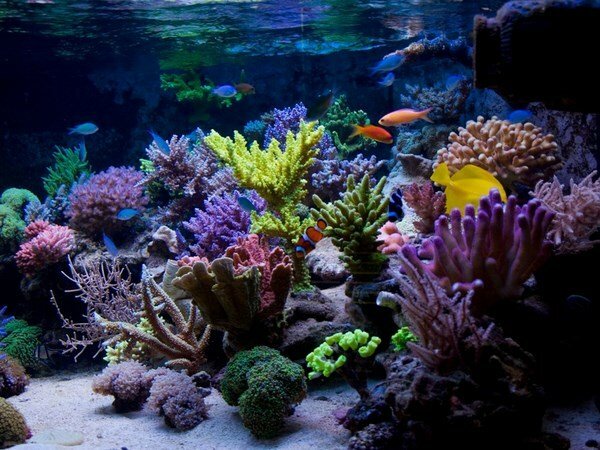 The list of equipment for a reef aquascape is much longer than the one for freshwater, and the equipment itself is more expensive. 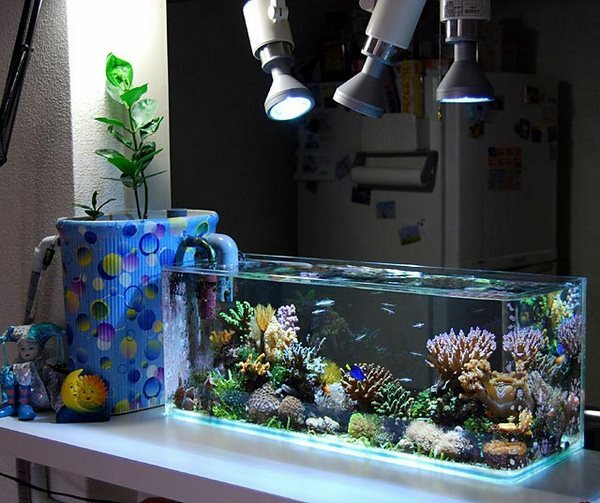 Some people choose a nano saltwater aquarium as a budget version. The main difference between saltwater and freshwater aquariums is that marine aquaria are much more sensitive to even the slightest changes in the aquatic environment. 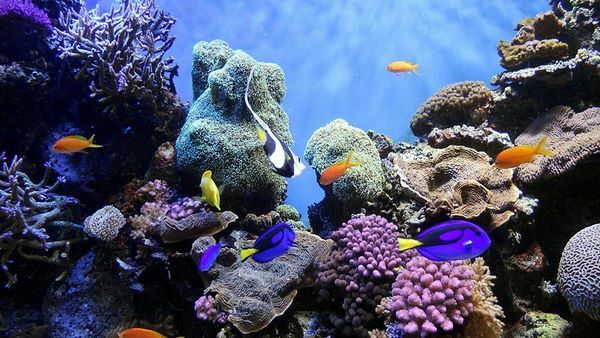 The main indicators of marine aquariums, which are required to constantly monitor and maintain – level of acidity (pH), the level of calcium and other elements, salinity and water temperature. Reef aquariums require different equipment which is necessary to ensure normal conditions for the habitat of fish and plants. 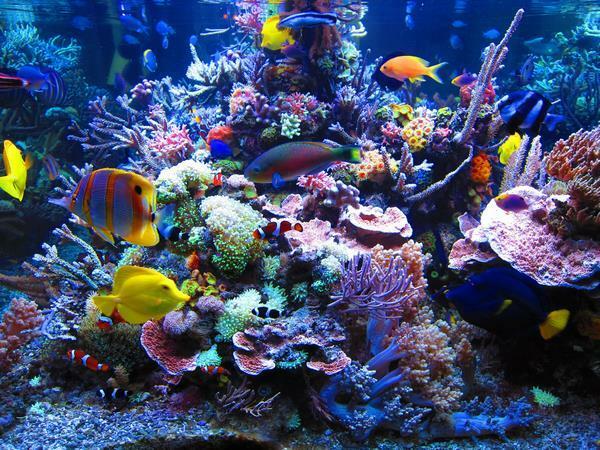 Many people believe that reef tanks are more beautiful due to the diversity of fish and invertebrates. 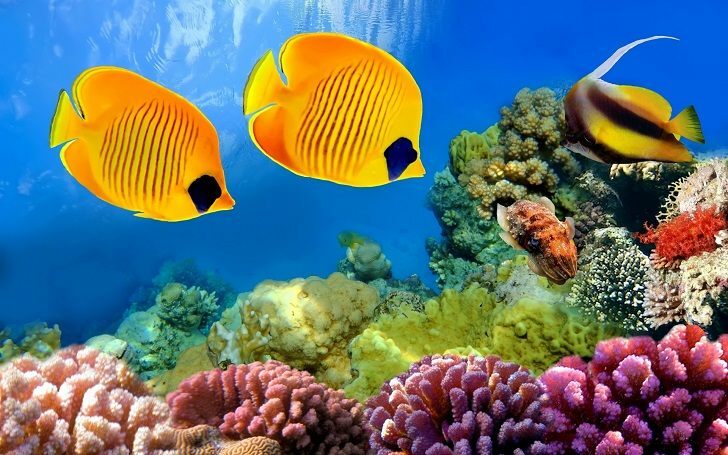 Sea fish have incredibly bright, vibrant colors and unusual body structure. Crayfish, shrimps, sea urchins and starfish can be watched endlessly. The underwater world is amazing – lush colors, fish of amazing shapes, as well as corals, starfish, it is a life that lurks under the water surface, and it charms us with its diversity and unique beauty, danger and adventure. 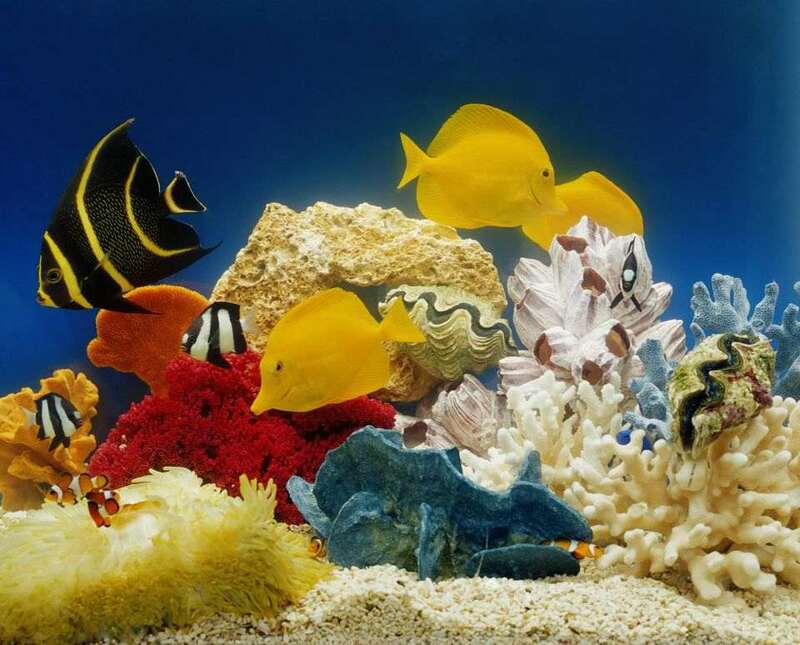 A reef aquarium is a piece of the sea which creates a unique atmosphere in any home, office, apartment or restaurant. Beginners in aquascaping are asking the same questions: how difficult is it to keep a marine aquarium? The good news is that for the last twenty years marine aquaristics have developed significantly and thanks to the technical improvements and studies for the life of the ocean inhabitants it is possible to create a balanced environment in a tank. Light is essential, so consider this equipment as an investment. Light is necessary for the growth of the inhabitants in the tank and in addition, it creates amazing light effects. Make sure that you know what kind of lighting is required for those organisms that you are going to keep in the aquarium. 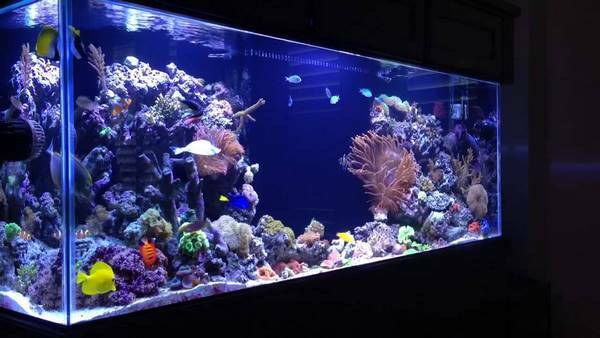 For example, fluorescent lamps are enough to illuminate ane aquarium which contains only fish, but if you want to have corals, you will need additional lighting. 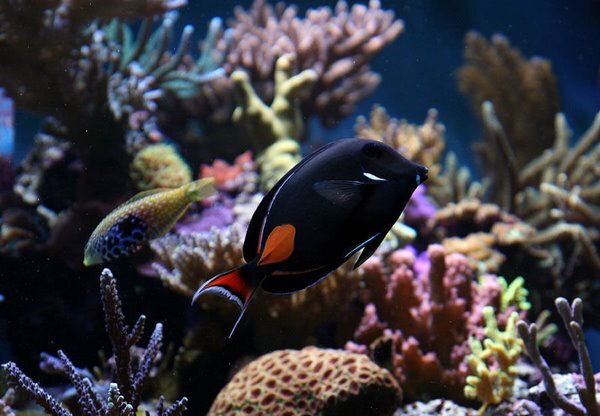 Filtration removes all proteins and some other substances before they undergo a normal biological decomposition process and prevents contamination of the aquarium with poisonous substances. Make sure that the system has enough capacity for the volume of your tank. It is even better to get a system with a bigger capacity than the minimum required for your tank size and volume. 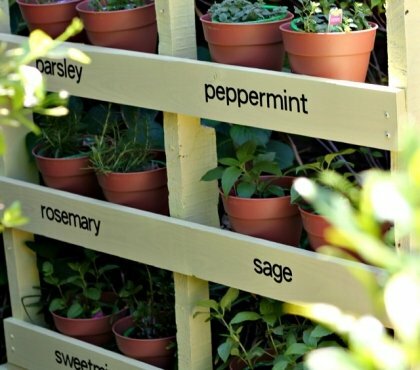 Use water that is completely free of salts, if possible. Tap water often contains increased concentrations of nitrates (20-30 mg / l), the concentration of these substances in the aquarium should be 0.5 mg/l. Tap water contains iron ions, as well as other undesirable substances. 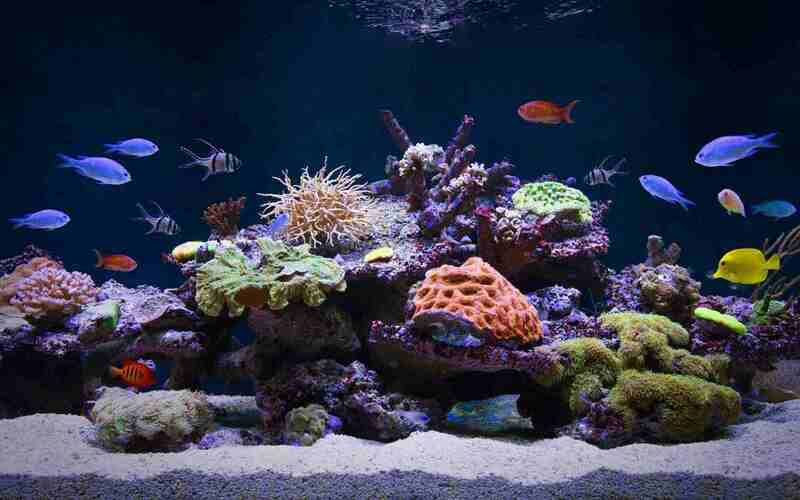 Therefore, it is recommended to prepare the water for your reef aquarium. 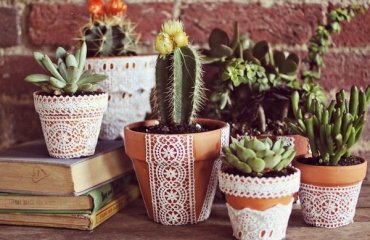 A large number of “living stones” can replace the biological filter. “Living stones” are the basis of reef aquariums and have a positive effect on the biological balance of the tank system. Many of the smallest living beings develop on these stones and work as a biological filter. These organisms are able to destroy the decomposition products (especially nitrogen-containing organic compounds) for a short time and maintain a stable and healthy environment. Fresh saltwater needs some time to biologically ripe before you introduce the first inhabitants there. After you have poured water, you need to wait for about four days and then you can place the first living stones in the tank and slowly and gradually switch on the lighting and filtration. When all water indicators are stable (approximately 4-6 weeks) you can start populating the tank. Add just a few species – sea urchinsalgae eaters – and observe whether they feel good. As per experts, a period of 2-3 months is necessary to create a stable environment and after that you can add fish population. Time is one of the most important success factors and it takes six to twelve months to have a steady and safe environment for different fish species. Choosing fish species is essential. Do not make a purchasing decision spontaneously as you may end up with a species that is not suitable for your aquarium. Make a list of the species that you would like to breed and you have to be certain that you understand their needs for illumination, diet, etc. Some fish and plant species need to be placed directly under the halogen lamps – giant mollusks, xenia – while others prefer zones with moderate illumination or limited lighting. There should be enough space for each of your fish so be careful about the number of inhabitants in the tank. Too many fish will struggle for territory and may begin attacking each other. Mechanical filters need to be cleaned more often as they get contaminated with suspended particles and algae. Therefore, mechanical filters should be cleaned 1-2 times a week. Otherwise, they accumulate a huge number of bacteria that can, under certain conditions, release toxic substances into the water. Water circulation – each part of the aquarium should be washed at least from time to time, which prevents accumulation of suspended particles and forming of a layer on the surface of the water. The water must be constantly in motion, so that there is a constant exchange in the surface layer and no foam layer is formed. It would be nice if you had a pump that provides a variable direction of the water flow, changing every six hours. Since all organisms in the aquarium require micro elements (calcium, iodine, barium, manganese, etc. ), their concentration in the water decreases. 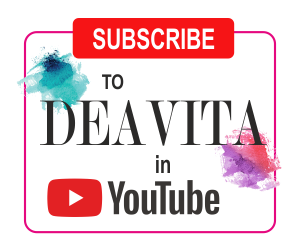 These micro-elements can be purchased in special stores in the form of ready-made solutions and added in accordance with the specified dosage. Addition of ready-made complex solutions has proved to be very successful but one should not overdose them. 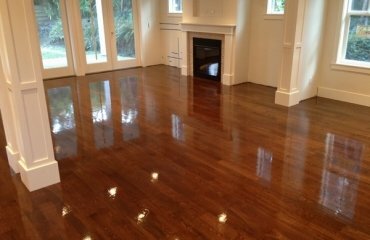 Regular water change is important as this removes unwanted toxic substances and waste. It is recommended to change 10% of the water volume monthly or, respectively, 2% each week. When all the parameters of the aquarium are stable and the filtration system is installed, you can change 5% of water per month. However, it is necessary to conduct regular monitoring of all water indicators and keep them strictly registered. When the tank is inhabited by fish only, it is necessary to change 20-25% of water every month, but not more than 30%, otherwise the biological balance may be severely ruined. Feeding the fish is another important factor. Experts advise that feeding should be three times a day and only in a quantity that the fish can eat immediately. Offer your fish a variety of food – the market offers all kinds of frozen, dry or live food. Large portions of uneaten food should be removed from the aquarium, as it decomposes and pollutes the water. These are just some basic rules which could be guidelines to beginners in saltwater aquascaping. As we mentioned in the beginning, these tanks are more demanding than freshwater aquariums, so you need to be prepared and fully devoted to the project. 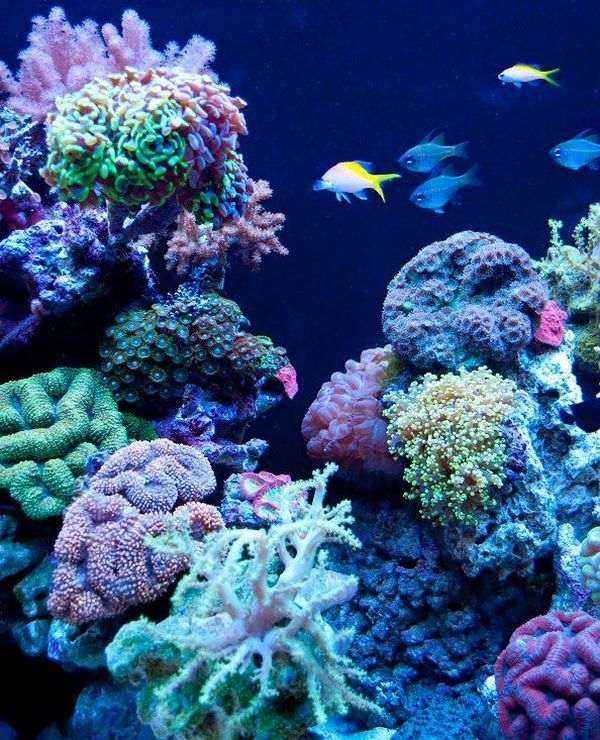 You reward will be a tank full of bright colors and unusual shapes and you will enjoy a beautiful exotic reef aquarium. 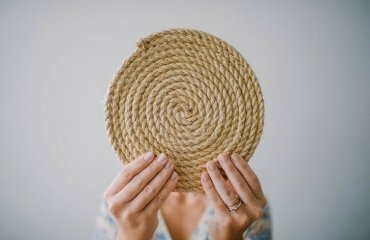 45 Rope craft ideas – how to use rope in interior decoration?